Given al Qaeda’s track record, those exchanges would most likely have involved couriers travelling back and forth between Yemen and Pakistan, where Zawahiri is presumed to be hiding. An intercepted message among al Qaeda senior operatives in recent days led to the U.S. action involving its embassies and consulates, CNN has learned. CNN first reported Wuhayshi’s new role last week when Seth Jones, a Rand Corporation analyst, said the appointment had occurred. Jones called it “unprecedented because he's living in Yemen, he's not living in Pakistan." The appointment is not known to have been made public by al Qaeda. 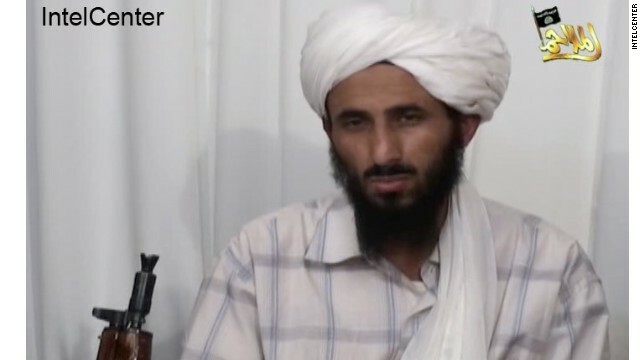 The appointment would effectively thrust Wuhayshi, a Yemeni national, into the second-ranking position in the group’s global network, a position previously held by the Libyan Abu Yahya al Libi before his death in a drone strike in Pakistan in June 2012, according to CNN terrorism analyst Paul Cruickshank. It would also provide a broader foundation to al Qaeda’s top leadership at a time when its center of gravity has shifted from the Afghanistan-Pakistan region to the Arab world. And it would potentially allow the group to re-tap fundraising opportunities in Saudi Arabia and other Gulf countries where Wuhayshi is more popular than Zawahiri, al Qaeda’s less charismatic and sometimes divisive Egyptian leader, Cruickshank said. If the various Countries hide and/ or give aid to the Terrorists, then hold these Countries resposible and blow them to Hell. i apologise for including North Korea as and Islamic Country. I'd like to see the US withdraw from being the Worlds keeper of democracy and peace. Places like Yemen, North Korea, Pakistan and others don't want democracy or freedom. When will we recognize that Islam don't allow this kind of thinking. It's what Italians call an Infamlia which means forbiden and a moral curse. Our Country really needs to concentrate on America and not all these other Counties. We have millions of poor and hungry people right here in the good ol USA. Take care of your own, then maybe you can address the World's problems. Want to solve our $$$ problems then concentrate on us, not them. Most hazardous job in the world ... senior Al Queda manager ... a.k.a. Top Drone Target. Careful with your hatred Republicans. Your hatred for the president is turning you into Fifth Column in this country and that's a very dangerous step. We have a common enemy and should not enable it. Who might that be, Maria1119? There isn't one country in the world today that can pose any kind of threat to us with all our godawful weapons at our disposal. Furthermore, it's the right-wing politicians in Washington who are vastly overplaying the "threat" of Al Qaeda in order to frighten the public. Unfortunately, due to the ignorance of the people, it works only too well! Wait a minute! I thought our beloved leader said during the campaign that "Al Qada is on the run". Yeap, some run they're on!! He's the disease and we are the cure ! A Drone a hour is all we ask. If I were you Guy, I'd be ashamed to exhibit my ignorance on this web page. You sound like another dimwitted Tea Partier by praising those killer drones of ours. How would you feel if any members of you family or friends were to be on the receiving end of one of those cursed machines? So don't be too quick to praise those monsters! any wager on how long this ratman is going to last? I suppose now that Obama and his rotten henchmen are now planning to murder this man in cold blood, Phunnie boy. This Obama will stop at nothing just to make himself look good before the American public just as George W. Bush did before him! It appears that murder has now become the "politically correct" thing to do!!! How repulsive! you wanna play you gotta pay. His days are numbered. Phunnie boy, you're just too kind to these animals; have you not noticed your life and so does the life of your kids have changed once and for all, thanks to these desert cult? Please Phunnie boy, enough of this political "correctness" of yours. If you have to be politically "correct", please use your own name for a change and do quit trying to make me look stupid. Once and for all, as the true George patton here, I am no Tea Partying nitwit like you!!! enough of your Dr Jekyll and Mr Hyde George patton or whatever. and it goes without saying you are a stupid fool, I mean the al qaeda hugging George.